Missouri Governor lifts Ferguson state of emergency. Missouri Governor calls off state of emergency in Ferguson. 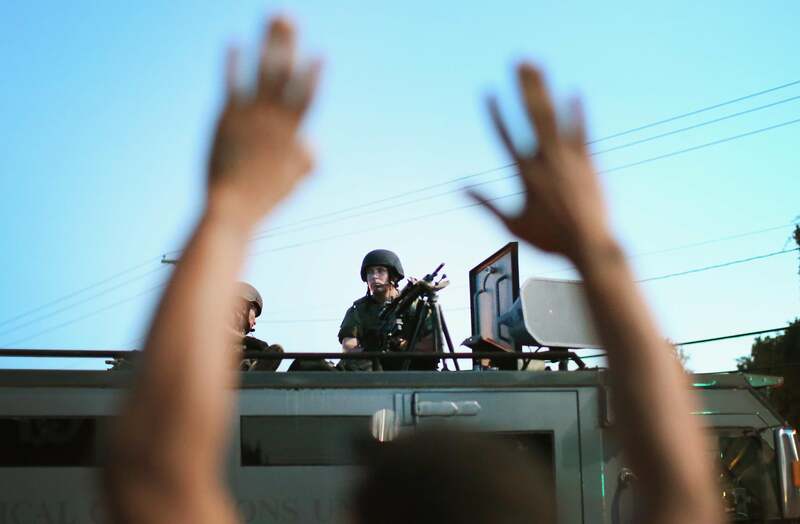 As of Wednesday morning, the city of Ferguson, Missouri is no longer in a state of emergency. Missouri Gov. Jay Dixon lifted the nearly 3-week-old order, which mobilized the National Guard in response to unrest following the shooting of Michael Brown by local police. The National Guard closed down operations last week, and the governor’s move, the St. Louis Post-Dispatch reports, also “effectively ends the possibility of a special prosecutor in the investigation of Michael Brown’s death.” Supporters of Michael Brown had pushed for Dixon to use his temporary emergency powers to replace St. Louis County Prosecutor Robert McCulloch, who has close family ties within the police.